Citation: Sadhasivam,P.,Dr.Manikandan,M. (2014).Design and Implementation of enhanced BZFAD Multipliers for DSP Applications. 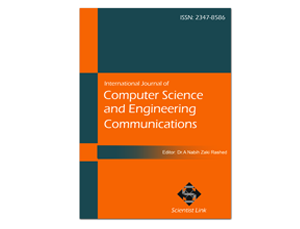 International Journal of Computer Science and Engineering Communications,Vol.2,Issue.3,pp.444-449. This paper presents a comparative study of Field Programmable Gate Array (FPGA) implementation of standard multipliers using Verilog HDL. Multiplier is a good candidate for digital signal processing (DSP) applications such as finite impulse response (FIR) and discrete cosine transforms (DCT) etc. This paper proposed a new gate into the Bz-fad (Bypass Zero Feed A directly) multiplier to get low area, delay, and power than the conventional all other multipliers. A binary multiplier is an electronic circuit used in digital electronics, such as computer, to multiply two binary numbers. It is built using binary adders. A variety of computer arithmetic techniques can be used to implement a digital multiplier .Most techniques involve computing a set of partial products, and then summing the partial products together. For high speed multiplications, a huge number of adders or compressors are to be used to perform the partial product addition Fast multipliers are essential parts of digital signal processing systems. The speed of multiply operation is of great importance in digital signal processing as well as in the general purpose processors today. In the past, multiplication was generally implemented via a sequence of addition, subtraction, and shift operations. Multiplication can be considered as a series of repeated additions. The number to be added is the multiplicand, the number of times that it is added is the multiplier, and the result is the product. Each step of addition generates a partial product. In most computers, the operand usually contains the same number of bits. When the operands are interpreted as integers, the product is generally twice the length of operands in order to preserve the information content. This repeated addition method that is suggested by the arithmetic definition is slow that it is almost always replaced by an algorithm that makes use of positional representation. It is possible to decompose multipliers into two parts. The first part is dedicated to the generation of partial products, and the second one collects and adds them. The major speed limitation in any adder is in the production of carries. Basically, carry save adder is used to compute sum of three or more n-bit binary numbers . Rashidi, B., Rashidi, B., Pourormazd, M., Univ. of Tabriz, Tabriz, Iran , “Design and implementation of low power digital FIR filter based on low power multipliers and adders on Xilinx FPGA, Electronics Computer Technology” (ICECT), 2011 3rd International Conference on 8-10 April 2011. Soojin Kim and Kyeongsoon Cho., “Design of High-speed Modified Booth Multipliers Operating at GHz Ranges”, World Academy of Science, Engineering and Technology 61 2010. B.Ramkumar, Harish M Kittur, P.Mahesh Kannan, “ASIC Implementation of Modified Faster Carry Save Adder”, European Journal of Scientific Research, ISSN 1450-216X Vol.42 No.1 (2010), pp.53-58. Dandapat, P. Bose, Sayan Ghosh, Pikul Sarkar, and D. Mukhopadhyay, “Design of an Application Specific Low- Power High Performance Carry Save 4-2 Compressor” in IEEE VLSI Design and Test Symposium 2007, VDAT-07, pp.360, 2007. Shahnam Mirzaei, Anup Hosangadi, Ryan Kastner, “FPGA Implementation of High Speed FIR Filters Using Add and Shift Method”, IEEE, 2006. M. Mottaghi-Dastjerdi, A. Afzali-Kusha, and M. Pedram “BZ-FAD: A Low-Power Low-Area Multiplier based on Shift-and-Add Architecture”, IEEE Transactions on Very Large Integration (VLSI) Systems, vol.17, No.2, February 2009.